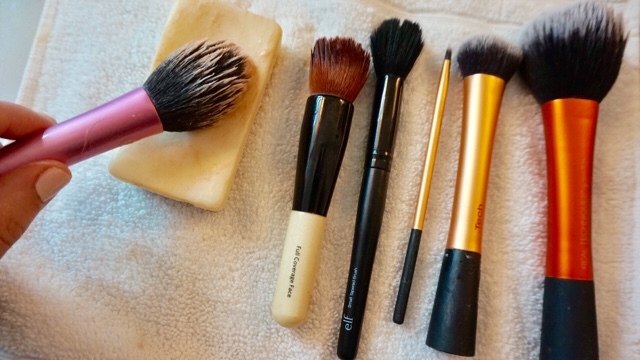 I don't clean my makeup brushes enough, and I feel comfortable making the assumption that the majority of makeup users are in that same boat. When I first realized that cleaning my brushes was not only practical (no mixing of different eye shadow colors or skin formulas) but also hygienic (hello bacterial breakouts from dirty brushes), I didn't really even know where to start. How do I clean my brushes and with what? Dish soap? I tried several different "brand" brush cleaners that were expensive and mildly effective. 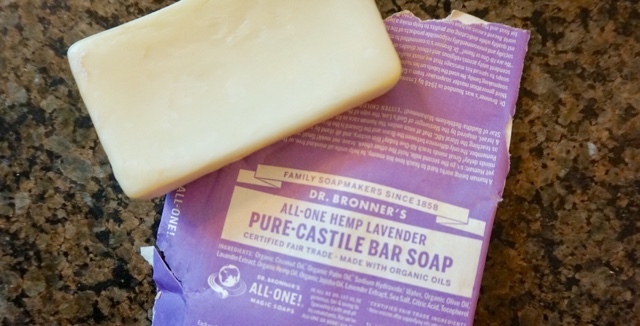 The one day, the clouds parted and the sun shined its rays onto Dr. Bronner's Bar Soap. You wouldn't think much of it, since it really is just a bar of soap that you would find in someone's bathroom, but this soap has magical powers. Not only is it made with natural fair-trade ingredients, but it cleans my makeup brushes better than anything I have ever used. To use, I just dampen my brushes under water, and run them along to soap to get all of the excess out. I rinse and repeat until the water runs clear, then softly reshape my brush with a towel before leaving it overnight on a washcloth to dry. Dr. Bronner's Soap also comes in a liquid version, if you're more into that sort of thing, and a wide range of amazing scents (my favorites are peppermint and rose). Did I also mention that it's under $5? No? Well it is. Ah i just use baby shampoo at the mo but defo need an upgrade! This soap sounds fab, i thought about buying the Beauty Blender soap but its so expensive!!! I've never tried to Beauty Blender soap, but I have heard that this is a pretty close dupe! They really can, it's ridiculous! I totally agree the best way to clean is with a bar of soap! Especially for beauty blenders, total hack! Yes! It makes life so much easier. This look super nice! 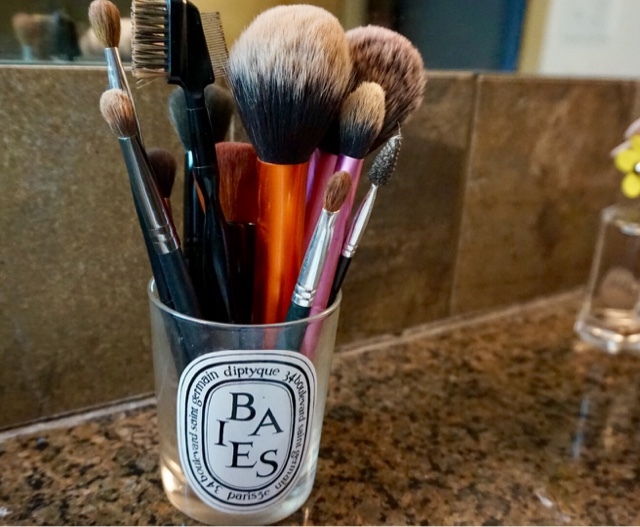 I have a the same candle for my brushes!